• Sleep in and enjoy a leisurely 10.30am start. 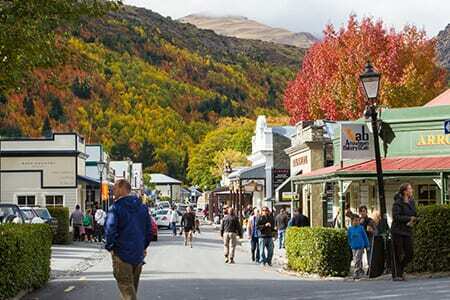 • Old Shotover Bridge to Queenstown Bay, cafes on the way. • 15 km of scenic easy mountain biking. • Rivers, lakes and amazing mountain views. • Return your bike to our shop and walk away, too easy! 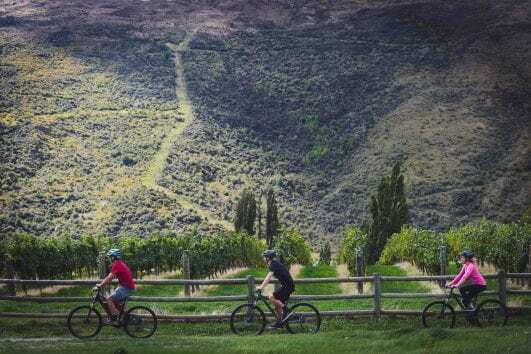 This Half Day Self-Guided Tour begins with a relaxed mid morning pick up from our shop at 9 Duke Street in central Queenstown, followed by a scenic transfer to The Old Shotover Bridge, a beautiful spot tucked away on the banks of the Shotover River. 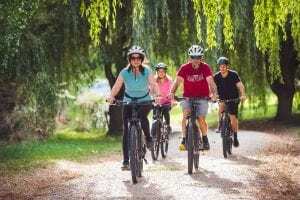 After bike fitting, and helpful trail information from your knowledgeable driver, you’re free to set off riding at your leisure using our informative trail map. 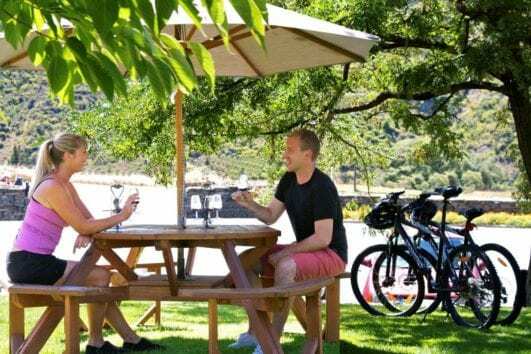 This section is exceptionally scenic, and has the added bonus of passing the famous Boat Shed Cafe, as well as the Bathhouse Cafe on the edge of Queenstown. 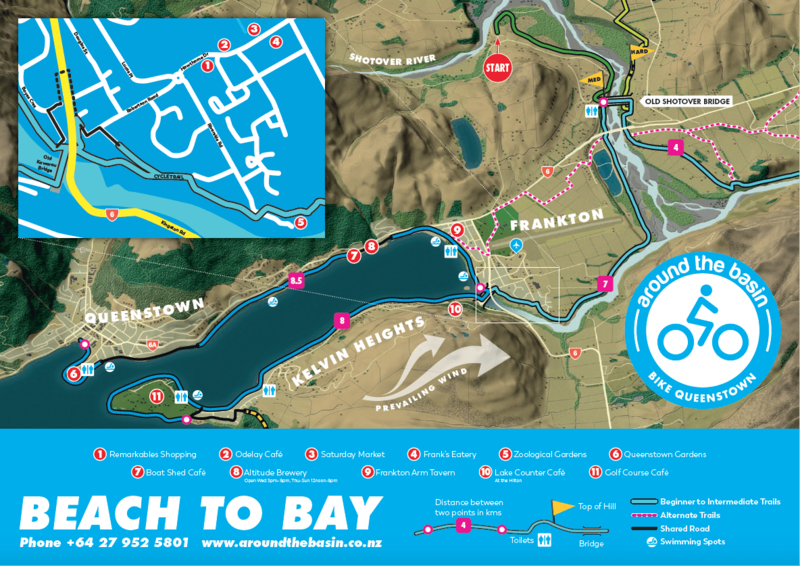 Make your way back to Queenstown Bay and then onward to our shop in central Queenstown, return your bike and the tour is complete. A guide riding the trail with you can be booked in addition to your vehicle support. For enquiries – please email info@aroundthebasin.co.nz . Sit back and enjoy the 15 min drive. Chat to your local driver. 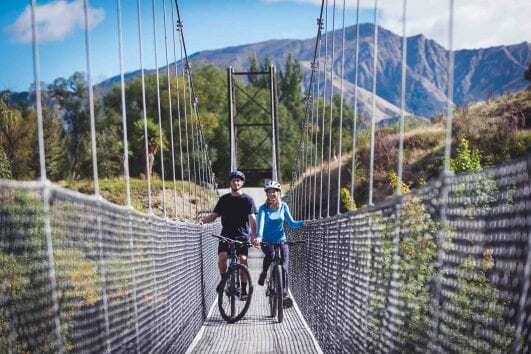 Upon arrival at The Old Shotover Bridge your tour guide will brief you on bike safety and trail navigation before you depart. 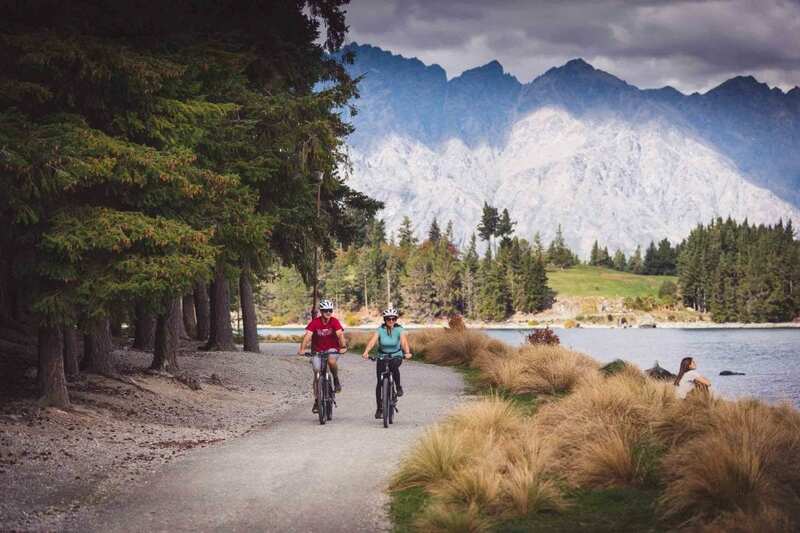 Take in the beautiful vistas of the Remarkables and Coronet Peak. 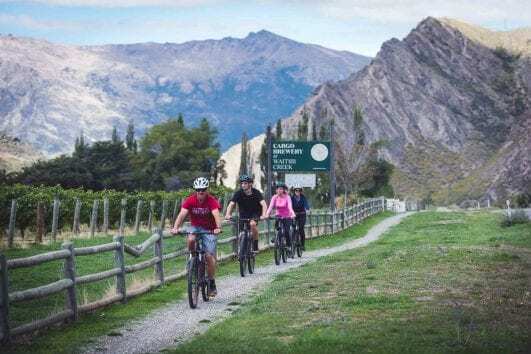 Follow the Shotover River downstream to where it connects with the Kawarau River. 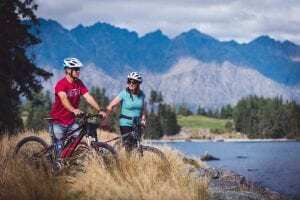 Follow the Kawarau River until it connects with Lake Wakatipu. 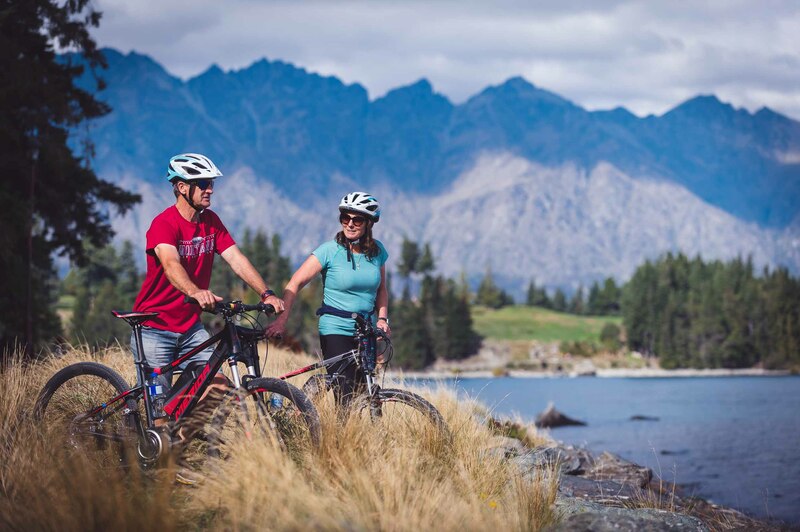 Enjoy riding the lake edge as you make your way into Queenstown. Stop at a cafe and grab a feed or a coffee.